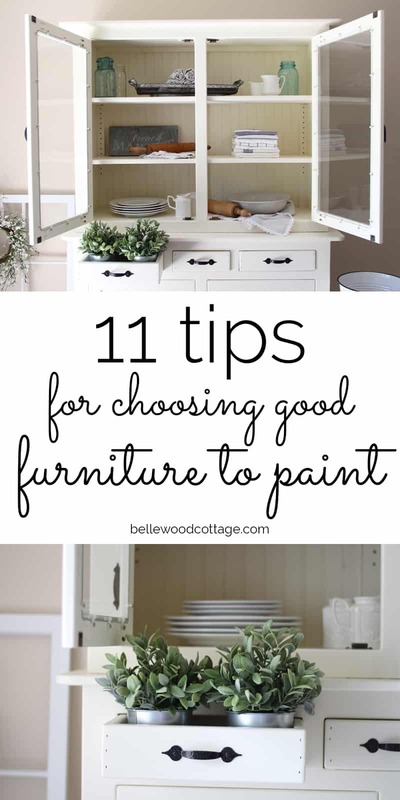 If you are new to furniture painting and wondering where to start, the whole process can be a bit overwhelming. Should I sand before starting? Chalk paint or latex? 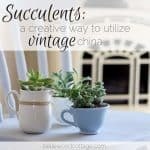 Rustoleum or Annie Sloan? Do I need polyurethane or wax or nothing? Cabinet grade paint maybe?? The truth is, painting furniture is a lot of fun and truly doesn’t need to be overwhelming. We’ll all make mistakes of course, but it’s just paint, and you can always sand and try again! I’m sharing these tips today, because I firmly believe that the piece you begin with will have a huge impact on your finished product. 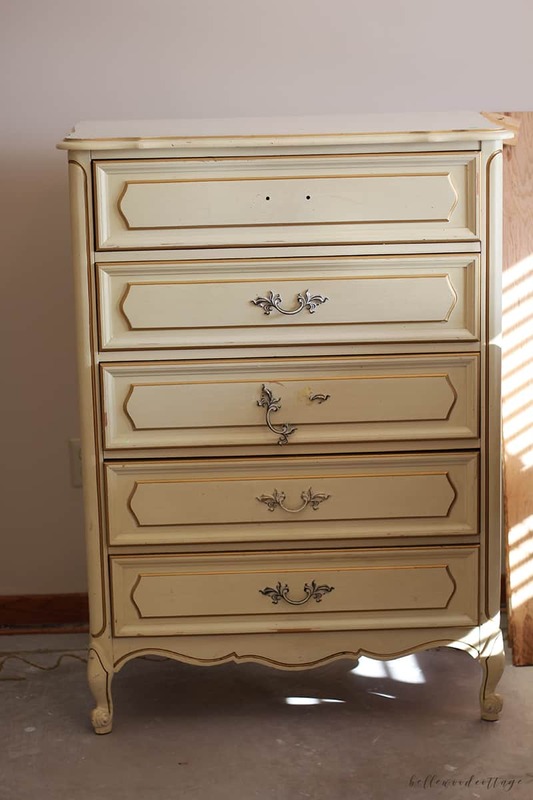 We all want that gorgeous before and after, but some furniture is just best left at the thrift store (I’m looking at you laminate computer desk with rounded edges circa 1980’s). I generally suggest buying furniture to paint secondhand, as you can find really unique and quality pieces for fairly inexpensive prices (though you’ll have to do a bit of hunting of course!). 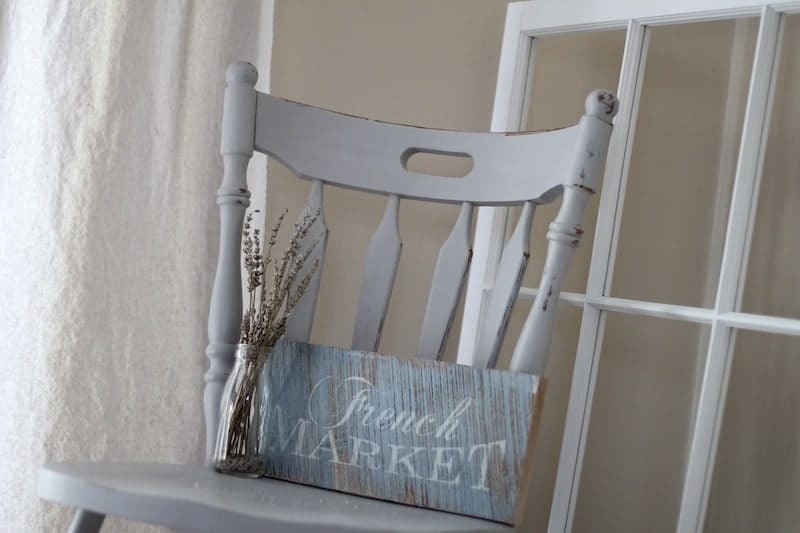 If you’re just starting out with furniture painting, I will usually recommend using chalk paint sealed with Rustoleum matte clear on your first project. 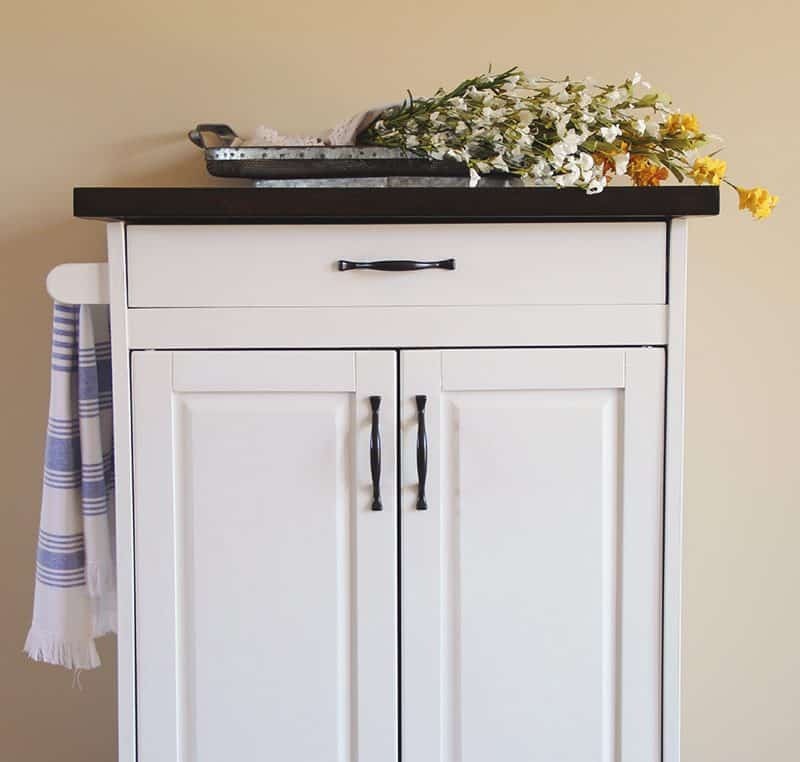 Chalk paint is easy to use and requires minimal prep. Plus, it gives a really pretty farmhouse look! 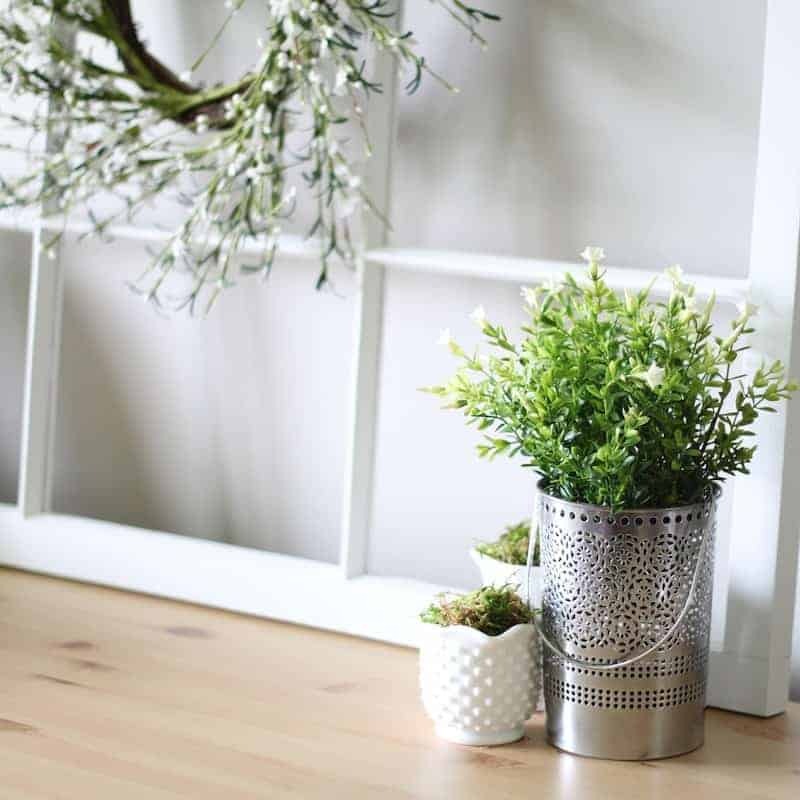 So read through these tips and get prepared to go thrifting or garage sale-ing and bring home some great pieces to infuse with new life! 1 – Pick a piece with good lines and solid construction. You will get great results working with a piece of furniture that is made from solid wood using good carpentry. A lot of older pieces just need some brightening up with paint to come alive. 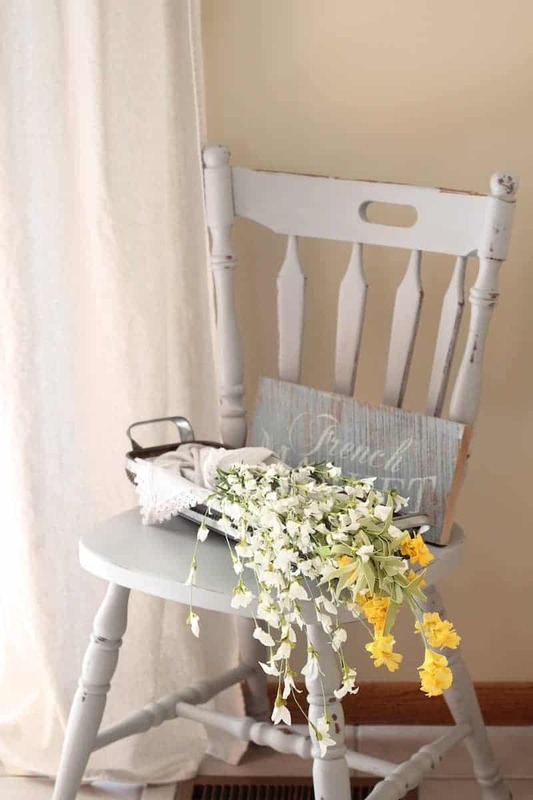 And if you’re just beginning to refinish furniture, you’ll be much happier if you choose a piece that doesn’t require a background in woodworking to get it on its feet again…such as rickety chairs or shaky dressers. 2 – Check your piece for dovetail joints. You should see these when you pull the drawer of a dresser open for instance. This little detail signals higher quality construction and is a great way to evaluate a piece. 3 – Consider the antique value of the piece before painting. I have a hard time with this one, because part of me feels like if no one wants the piece or is selling it on Craigslist for cheap, why not paint it? But by the same token, true antiques just can’t be replaced once they have been painted. I feel that each piece has to be considered on its own merit, always remembering that trends come and go but classic pieces are always in style. 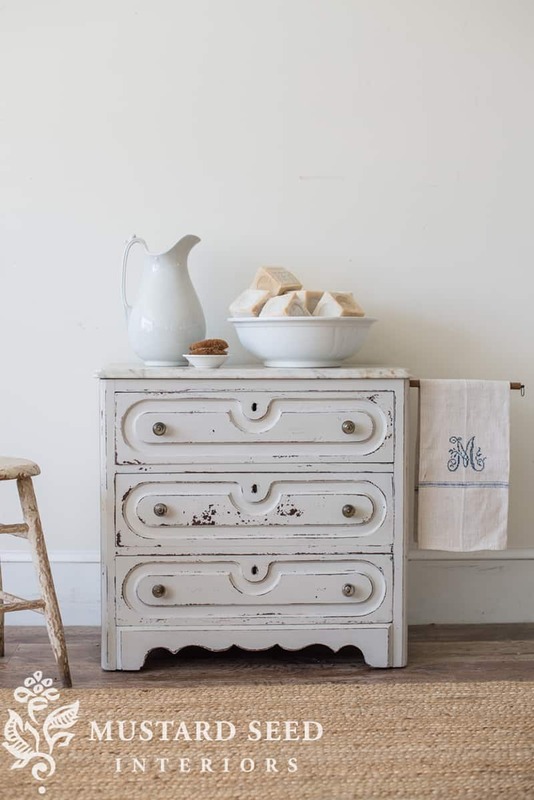 If you’re not sure if you should paint your great grandmother’s vanity for instance, consider if there are other less precious pieces in a room that could be painted and brightened up, leaving the antique wood to shine as an accent piece. 4 – Think outside the box when shopping for furniture. You can remove doors, shelves, etc. from a piece to transform it even more than paint can. Maybe a cupboard becomes a bookshelf for instance. I’ve also seen cribs become couches. Hardware can be exchanged, and there are plenty of Pinterest hacks to consider. View furniture with a creative lens. At same time, don’t bite off more than you can chew. 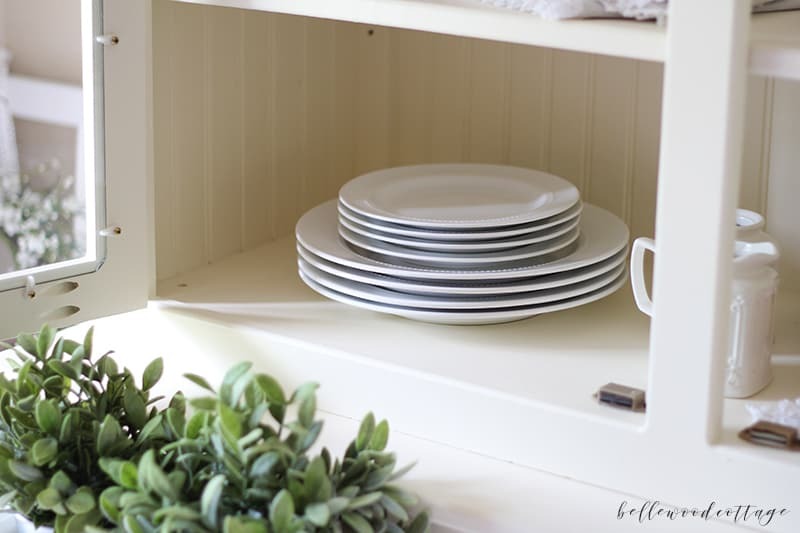 If you don’t own many power tools and the thought of even drilling new hardware holes give you pause, choose a piece that will require little work except painting. 5 – Brand new furniture works too! Furniture from Target or other retailers that has gone on deep discount because it’s an ugly color is fair game my friend! When you see a great deal and love the lines of a piece, just use paint to transform it. This little cart I painted is a hand-me down that is several years old from Walmart. Now, is this the kind of piece I’ll be able to pass onto my children? No, but for the meantime, giving it a little chalk paint makeover was a very budget-friendly way to brighten up my kitchen! 7 – Safety. If you’re painting a pre-1978 piece, you need to test it for lead. Pick up a test kit from Home Depot and if you discover lead, be cautious about your next steps. Many people will not allow these items into their homes at all, and some choose to seal the paint with a strong clear coat finish. Sanding these pieces (or if they are already chipping) can be quite hazardous. 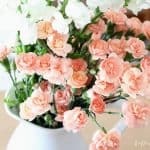 This article may help if you have questions. 8 – Consider how a new color will transform the piece. I love using neutral colors, especially white (surprise, surprise). 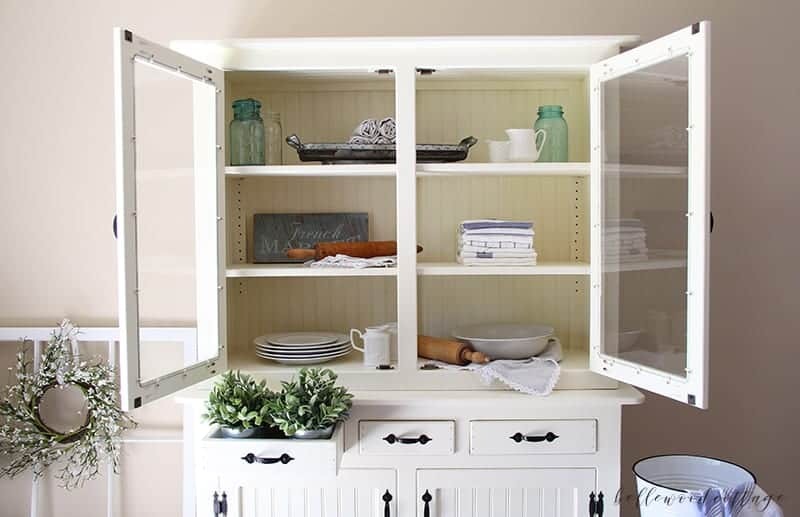 This is pretty obvious if you’re shopping for furniture to paint, but it helps to remember that pieces that might feel bulky or overwhelming can be totally transformed with white paint. 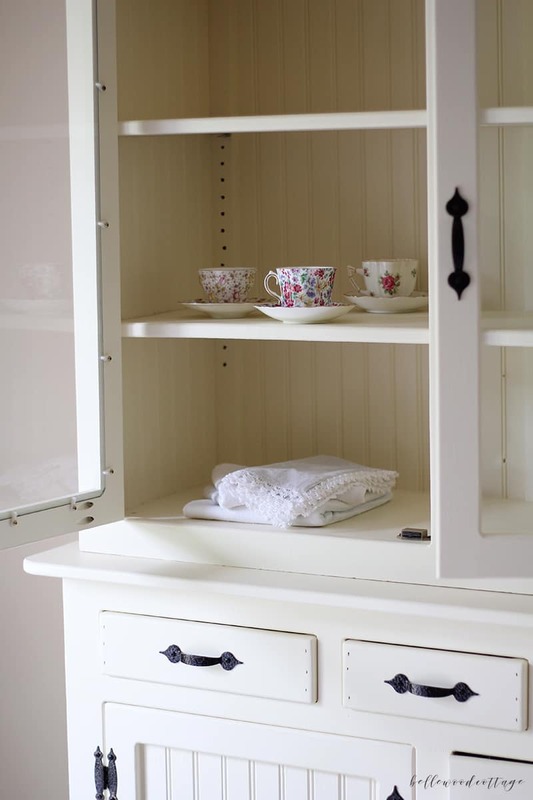 My recent hutch project is a good example of this (before photos here). 9 – If you’re just starting out, avoid woods that “bleed” like mahogany, cedar, redwood, and knotty pine. 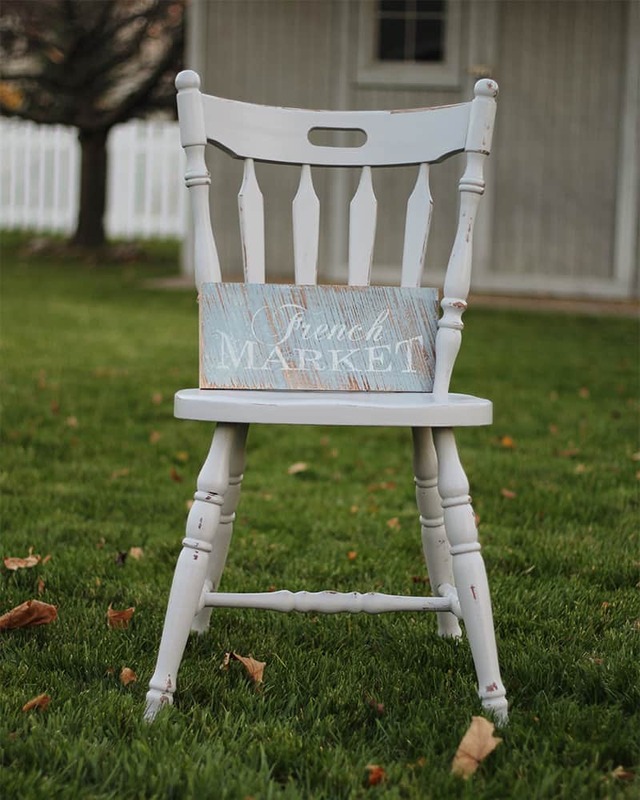 Certain dark stains can also bleed through, but if you really want to use the 100% “no prep” chalk paint method, you’ll be much happier starting with a piece that won’t give you headache after headache. If you’ve already discovered bleed-through on your piece, there are plenty of great primers on the market that will help solve the problem! 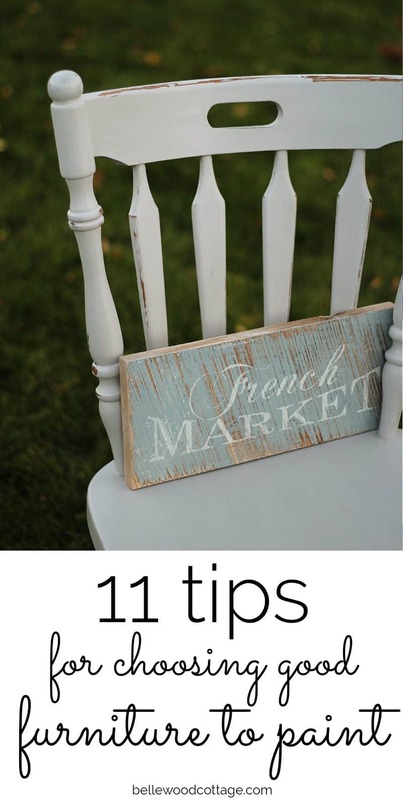 10 – Don’t be scared off by small imperfections like dings and nicks. A good wood filler and a sanding block will take care of those imperfections in a snap. It’s well worth the small time investment to prep your piece correctly. Or you can leave them as is and opt for a pretty distressed look! 11 – This is a bonus tip I wanted to mention before signing off: Have a clearly defined use for the piece before you settle on a painting technique. 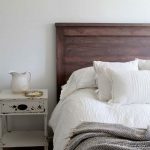 There are far too many options to cover all of them in this post, but I would generally say that chalk paint is a soft finish that can often be ruined by water stains, whereas a cabinet grade paint (painted over a properly prepared surface) will hold up very well against the added use a piece will see in a bathroom or kitchen. Knowing where the piece will go in your home and how much use it will see will help you decide how to paint it! I’d love to see any projects you are working on! Share in the comments!